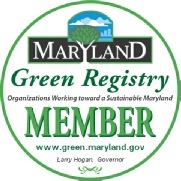 Junk Removal Laurel: The Art of the "Fall Cleaning"
Spring cleaning, spring cleaning, spring cleaning. Everywhere you go, you hear about the benefits of spring cleaning, its symbolic alignment with spring renewal and change, and its impact on your home and your family. But what if all of that junk can’t wait until spring? What if you need to purge your home of junk right now? 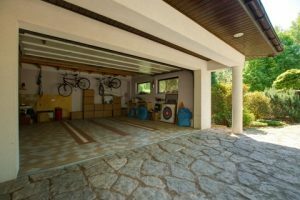 If you’re sick of your junk already, it’s time for a classic “fall cleaning.” We know—it’s not exactly as catchy or memorable as “spring cleaning.” But believe it or not, a good cleaning before winter could have more benefits than you think—perhaps even more benefits than a spring cleaning. 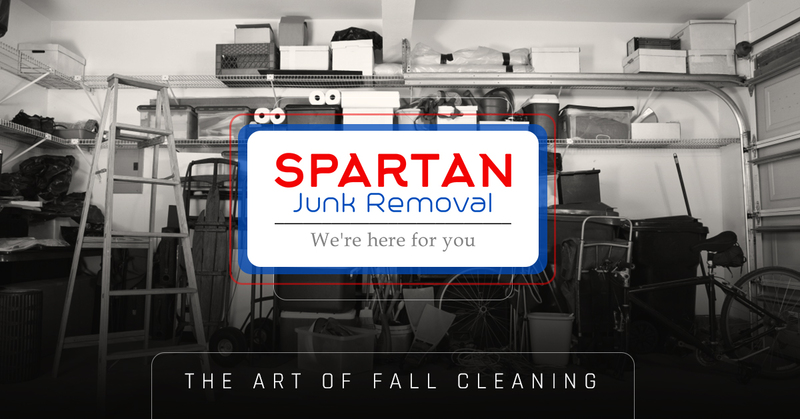 In this blog, Spartan Junk Removal, your Top Rated Local® junk removal service in Laurel, will give you tips for a thorough and effective fall cleaning, and show you why some cleaning and junk removal before the first snow can have positive benefits for your home and your health. You spend more time at home in the winter. Unless you grew up in Wyoming, Mid-Atlantic winters are brutal and unpleasant for just about everyone. With tough temperatures, cold ocean breezes, and some heavy snows, it’s no wonder that so many residents of the area hunker down for quasi-hibernation during the winter. If you’re going to spend a solid portion of your winter watching Netflix, cooking up comfort food, and reading by the fireplace, you’ll want your home to be comfortable, clean, and organized—but that won’t always be the case if you wait until spring for all ofyour cleaning. After a summer of making messes and dealing with the everyday aspects of life, your home is going to be a bit dirtier than normal. Your closets will carry quite a bit of dead skin (yes, your dead skin), your carpets and rugs will trap outdoor pollutants, and all the clutter on your shelves and tables will pick up dust. These are all allergens that can cause sneezing, coughing, watery eyes, and other allergy symptoms—and if you’re spending extra time in your home during the winter, allergy symptoms will certainly get worse. Before the temperature drops, put on your fall cleaning pants and take care of some allergens in your home. Remove items from your closet, pare down your clothes by donating to your local thrift store or consignment shop, and thoroughly scrub and vacuum your closets to remove dead skin cells and clothing lint. Next, get rid of some of that junk in your house and give your shelves and surfaces a wipe-down to remove dust. Vacuum under furniture, and give your rugs and mats a good slapping to remove dust and pollen and the like. Finally, as a preventative measure, be sure to get some fresh air into your home periodically, even when the weather cools off. The US Environmental Protection Agency (EPA) reports that indoor air quality is up to four times worse than outdoor air—keep your air fresh, and have a much more enjoyable time lounging around in your home waiting for spring. Ultimately, cleaning your home is all about your health and enjoyment. When winter comes around, don’t you want to have a clean and organized living room to binge your favorite shows? Wouldn’t you like a neat and tidy closet that has all of your winter coats, sweaters, and boots within reach? Don’t you want to make hot chocolate in a kitchen free of clutter? A cleaner, clutter-free house will make winter much more enjoyable for you and your family—and the effects will carry all the way through spring! Winter is snowy. Spring is rainy. Summer will make you sweat through your socks. Fall, however, is reasonably cool and comfortable, which makes it a great time to do some cleaning and reorganizing! There’s nothing quite like opening your windows on a cool fall day, grabbing a pumpkin-spice-something to munch or sip on, and getting some work done in your home without freezing or boiling to death. While all of your neighbors are raking leaves, you’ll be getting your home in order and purging your home of clutter which will make your home more habitable all year long! Most people aren’t making home improvements. Remember the last time you tried to clean, organize, and fix up your home during the spring? It probably felt like your entire neighborhood had the same idea. Home improvement stores are packed to the brim when spring rolls around—everyone’s looking to purge, clean, and renovate their spaces, and get a head start on landscaping before things get sweaty and swampy in the summer. This doesn’t just affect home improvement stores—local servicemen like plumbers, house cleaners, contractors, and even junk removal specialists are booked ahead for weeks, if not months in the springtime because there’s such a high demand for home improvements and cleaning. However, things slow down quite a bit when October rolls around. People are less concerned with home improvements and more concerned about holiday plans—and all the fairweather folks have deemed it too cold to do any big projects. This leaves servicepeople in your community with lighter, more flexible schedules, and even discounts on services that they use to generate more offseason business. Take advantage of these offseason specials and the lighter schedules, and get plenty of work done on your home before the holidays! While any and all forms of cleaning are beneficial and exciting, we think spring cleaning in particular is overrated. Spring cleaning is a social construct—there’s no reason you can’t make huge strides in cleaning and decluttering in the summer, fall, or winter. Maybe you’re looking to take care of the mess in your house before relatives visit for Christmas, or maybe you’re a hoarder who is sick of all the clutter and you just can’t wait until spring to get rid of it all. Does the reason really matter? Making your house a cleaner and better place to live is always great, no matter what time of year it is! That’s why Spartan Junk Removal is ready to help you with your junk all year long. We’re here to take on all your rubbish removal projects, handling mattresses, hot tubs, furniture, and anything else that’s junk to you! We’ll be on time, in uniform, and ready to work—no matter how much junk you have or what projects you need done. Don’t wait—schedule an estimate online today!